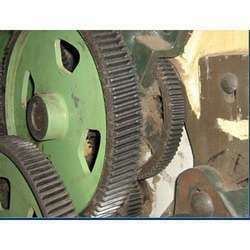 The Spinning Machine Four Quarter is designed and manufactured by superior quality material. We offer these machines with four quarters which takes less man power; efficient control system which is reliable, operation and maintenance of these machines are easy and convenient. To reach the customer requirements we supply the perfect combination of machine components where each component is carefully selected. We export these machines in large scale at affordable prices. With the esteem support of our engineers we supply a wide range of Spinning Machine - 100 Spindle. We use superior quality of motors, shafts and bearings in manufacturing these spindles because things play a vital role in the spinning machines. Based on the spindle style the motor can be internal or external. The technical data for 100 spindles are 4 ¾’ pitch, Bobbin size 7 ½” Traverse x 3 ½’’ Dia with wharves & Baxter Flyer. We export these spindles in various sizes and are available at cost effective prices. 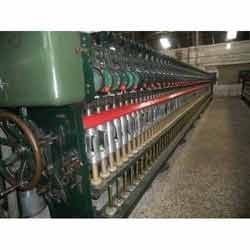 We provide a large scale spinning machines which are used to turn silver into thread. We manufacture these machines with high grade stainless steel metals and they provide maximum reliability and flexibility. We give top priority in reducing energy consumption and supply these products as per the requirements of the client. 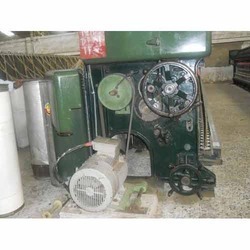 The spinning machines which we export are rapidly adapted to new products and are available at competitive prices. 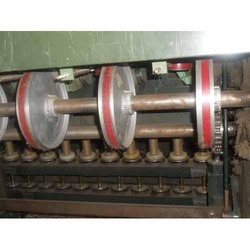 Looking for Spinning Machine Four Quarter ?